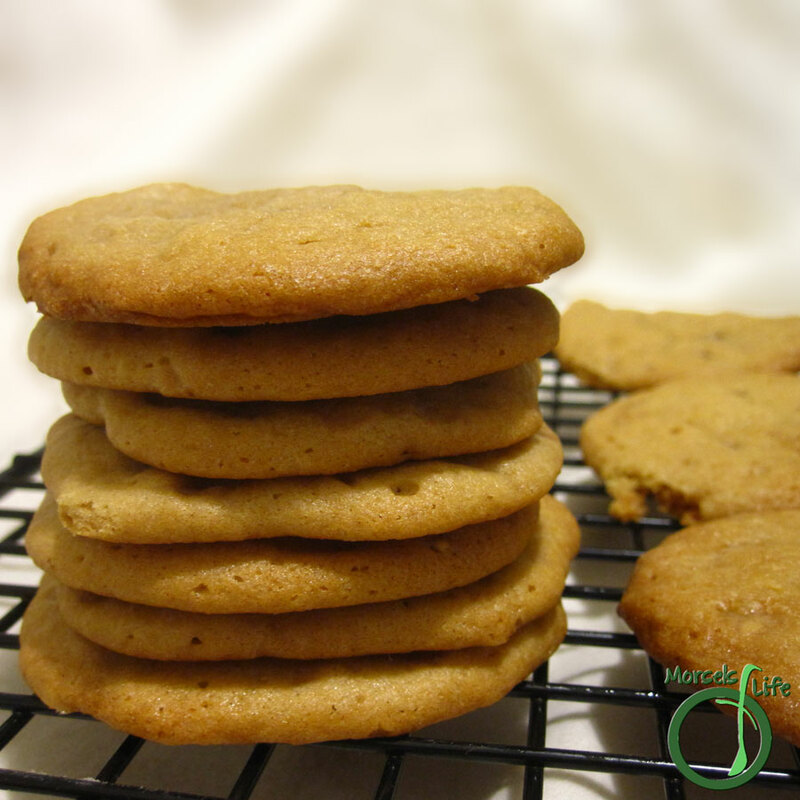 Soft cookies with buttery, nutty, English toffee chips. Having recently returned from a trip halfway across the planet, I wanted something quick and easy. With all the jet lag and catching up, it had to be something you could make even half asleep. Plus, I needed to make some cookies! Since I'm pretty much always low on time (and love efficiency), I wanted something quick, easy, and most importantly, tasty. Something simple, but not too typical. In the end, Mint Chocolate Chip and these Toffee Cookies went up against each other. And, as you can guess, the deciding vote went to Toffee Cookies. I'd made Oatmeal Toffee Cookies before, but this time, I wanted simplicity - just cookies and toffee. Simple. Another plus - these drop cookies need no rolling out or anything. Simply mix the dough and drop it on a baking sheet. Once they're baked and ready, just take these golden brown and delicious cookies out. They're ready to get gobbled! What's your favorite quick and easy cookie? 1/2 cup brown sugar I used dark brown. 1.5 eggs I used 2 whites and 1 yolk, but two eggs should work too. Form Wet Team by beating butter, sugar, vanilla, and eggs together. Form Dry Team by mixing flour, baking soda, cream of tartar, and toffee bits. Introduce the two teams, mixing until just blended. Drop about 2 teaspoons at a time onto a baking sheet, and bake at 350F for about 10 minutes. Looks like a good cookie recipe! Love the idea of the Wet Team and the Dry Team. I've found that in most of my recipes the order of the ingredients really doesn't make much of a difference, so why not speed things up by mixing all the wets and all the drys, like your recipe suggests. Great recipe!